I picked up this blouse for spring and honestly cannot stop wearing it! It has this great shape that pairs perfectly under a pencil skirt or loosely worn over skinny jeans or trousers for the office. Best part? The bow is actually detachable too if you're just not feeling it ;) Definitely worth a look and a try on! 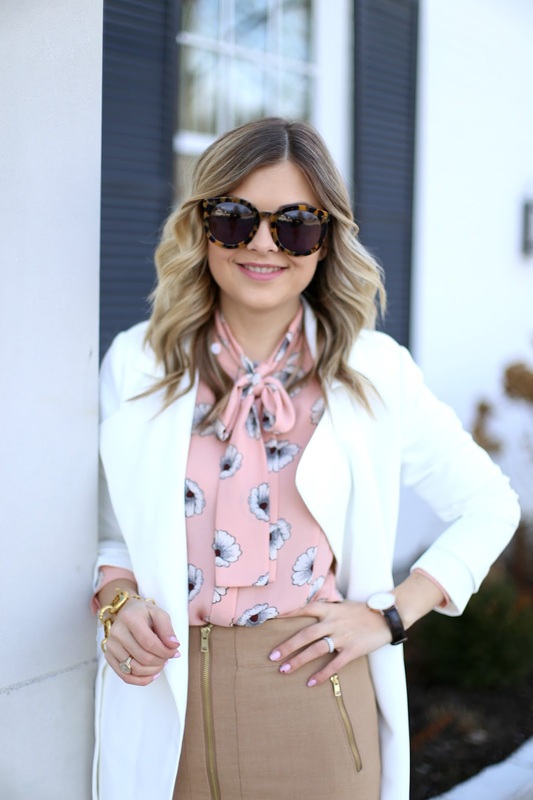 Love that blouse, and detachable bow? Genius! Perfectly styled outfit, so classy and chic! I like your shoes and blouse very much. What a perfect print!! Great for a winter to spring transition. 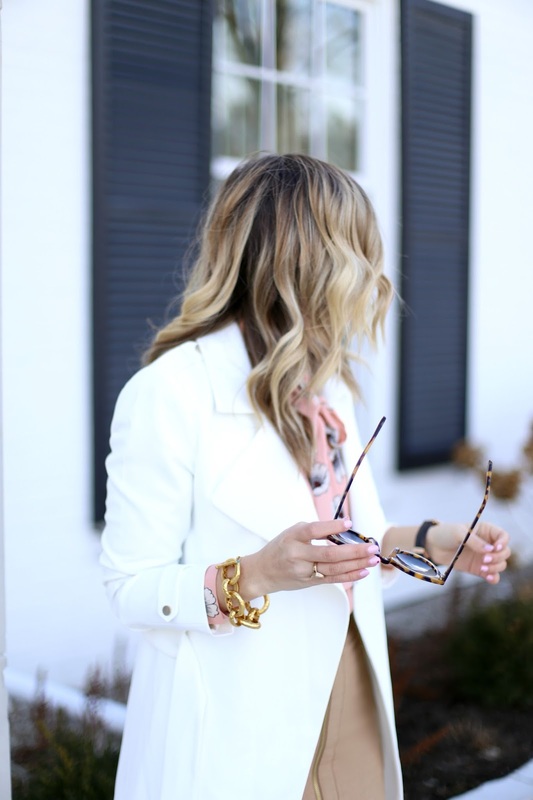 Lovely color combination and great inspiration for springtime work attire. I especially love how the black watch pops, its a really nice subtle detail. You look gorgeous!! Loving that skirt..
Amazing look. Love this look.